Published in Association with the German Historical Institute, Washington, D. C.
Recent years have witnessed growing scholarly interest in the history of death. Increasing academic attention toward death as a historical subject in its own right is very much linked to its pre-eminent place in 20th-century history, and Germany, predictably, occupies a special place in these inquiries. 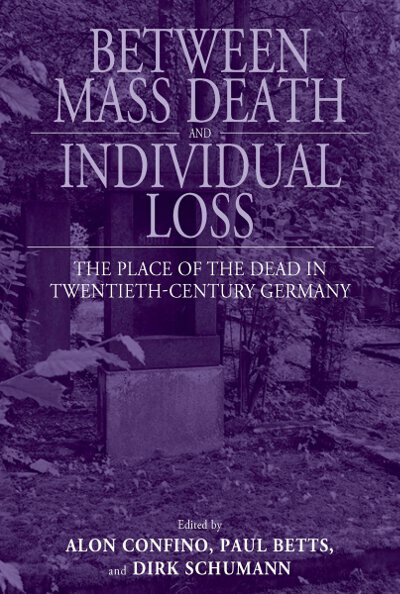 This collection of essays explores how German mourning changed over the 20th century in different contexts, with a particular view to how death was linked to larger issues of social order and cultural self-understanding. It contributes to a history of death in 20th-century Germany that does not begin and end with the Third Reich. Alon Confino is Professor of History at the University of Virginia. He has written substantially on nationhood, memory, and historical method. His new book is Foundational Pasts: An Essay in Holocaust Interpretation (CUP, 2011). Paul Betts is Professor of European History at the University of Sussex. He is the author of The Authority of Everyday Objects: A Cultural History of West German Industrial Design (Berkeley, 2004) and Within Walls: Private Life in the German Democratic Republic (Oxford, 2010). He was Joint Editor of the journal German History, 2004-2009. Dirk Schumann is Professor of Modern and Contemporary History at Georg-August University, Göttingen. His most recent books include Raising Citizens in the "Century of the Child“: The United States and German Central Europe in Comparative Perspective (Berghahn, 2010, edited), Political Violence in the Weimar Republic, 1918–1933: Fight for the Streets and Fear of Civil War (Berghahn, 2009).